14 Days of Makeup Favourites Challenge: Day 9! Day 9 is all about my favourite palettes and I couldn’t pick between two today! They are very different however as you’ll see if you read on and I guarantee you’ll be lusting after them as much as I was as they are gorgeous!! The Benefit Cheeky Sweet Spot Blush Palette – This is like all my blush fantasies packed into one gorgeously designed tin! 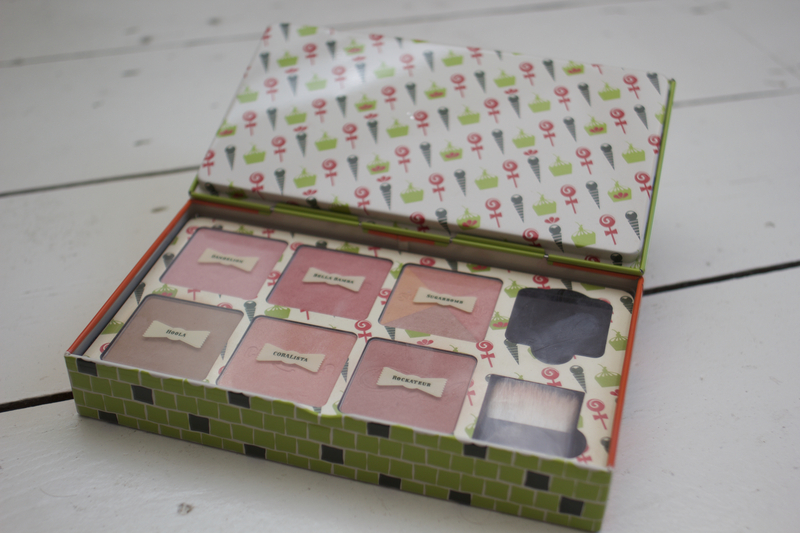 Think 6 of benefit’s best ‘Box O Powders’ and their cream highlighter all muddled together into a tin shaped like a sweet shop! It’s perfection! On the top row from left to right: Dandelion, Bella Bamba, Sugar bomb, (in the space there should be a small Watt’s Up! highlighter. On the second row from left to right: Hoola, Coralista, Rockateur, mini blusher brush. This set really does have something for every occasion and literally makes me swoon every time I see it in my drawer! This was part of Benefits Christmas Collection in 2014 and I think it was their best gift set yet! It retailed for £29.50 which is really good value considering one full sized boxed blush is £23.50 and in this set you get to try 7 different products for only a little bit more! Unfortunately, this was a limited edition set and is now only available through eBay, however, it was very popular so keep an eye out this Christmas in case they decide that it should make a comeback! My second palette of choice is the Urban Decay Naked on the Run which is a great way to take everything you need (apart from foundation and concealer) away with you in one palette! Firstly though, can we talk about the BEAUTIFUL packaging?! The rose gold and that tortoiseshell pattern is just simply stunning! As well as a enormous mirror, you get a 24/7 glide-on eyeliner pencil in stag; a perversion mascara (in that space, as you know, i’ve been using it pretty frequently! ); a naked lipgloss in sesso; five brand new eye shadow shades in: Dive, Fix, Resist, Dare and Stun; a matter bronzer; a blusher and an eye shadow in 5050 that can also be used as a rather nice high lighter. This palette really speaks for itself, the products are of great quality and pigmentation as you would expect from Urban Decay and I thoroughly enjoy using this! It retails for £37.00 which again, I think is very reasonable for the amount and the quality of the products that you get in one box. What are your favourite palettes? Have you managed to get your hands on either of these beauties? Which is your favourite of the two? So annoyed at myself for not picking that Benefit palette up at Christmas! Its such great value and such a great way to try the blushes out before buying a full size! 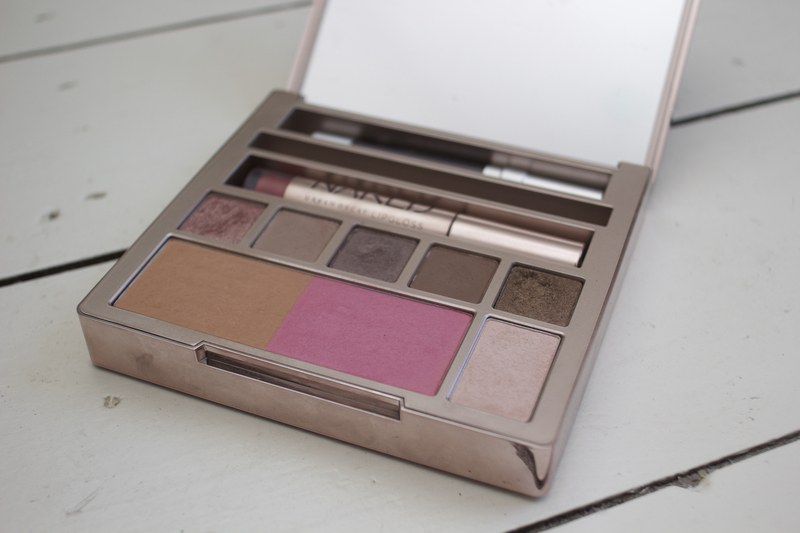 The Urban Decay palette is so pretty too and I love how convenient it is! Lucky haha! I will need to be prepared this year when they bring out their Christmas goodies so hopefully I will pick something up! Blush palettes ( like Hourglass) make me swoon too. You’re not alone! Ugh the Hourglass one is beautiful!! I need to get one !! !